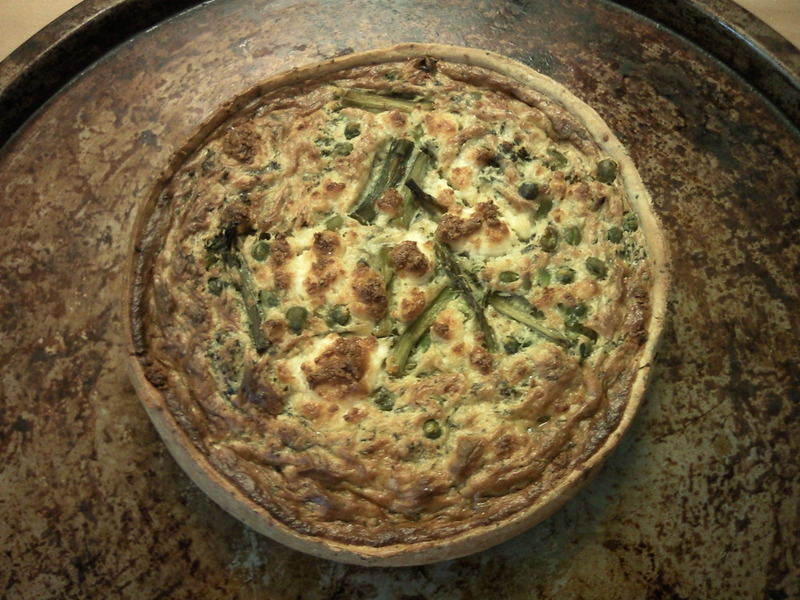 Lovely minty pea and asparagus quiche from Higgedy, complete with a sprinkling of feta. Slightly peculiar lemon-y flavour round the outside, though. Followed up by two oranges and a sprinkling of raspberries. This is a curiously excellent photo. Rarely see the kind of battered baking tray we all own in a foodie shot; great colours.